It’s easy to go into a spiral at the sight of pink-and-red-hued-and-hearted everything, nonstop $200 floral bouquet deliveries to the office (and, shudder, singing telegrams), and the annual calculated release of another celebrity-packed rom-com when Valentine’s Day creeps up around this time of year—whether you’re attached or not. Cue the *eye rolls*. But this year, we’re resolving to approach V-Day differently—instead of feeding into our habitual cynicism, we’re focusing on the sentiment of love all year ’round. Because what’s better than that? 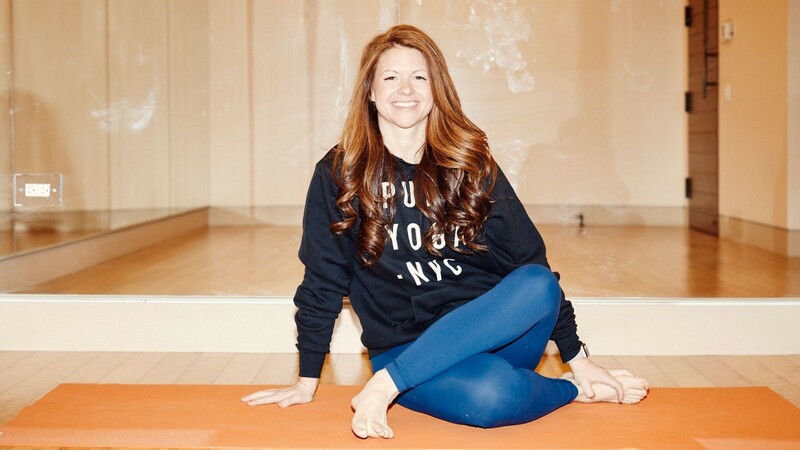 To help tap into your in-a-relationship, just-broken-up, or looking-for-love heart, Pure Yoga’s Angela Leigh shows us six heart-opening yoga moves to let in all the warm, fuzzy goodness that love has to offer.